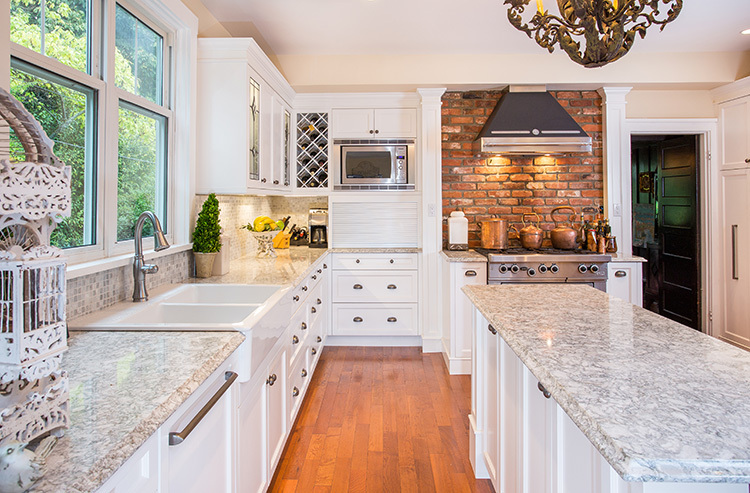 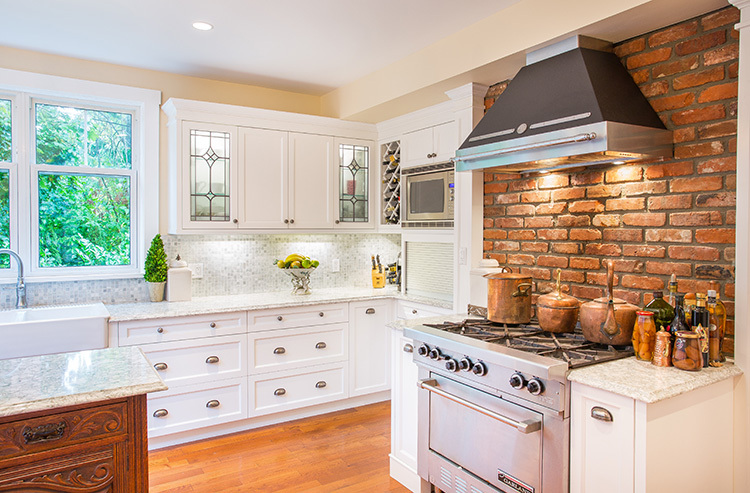 This early 1900’s home needed a heavy Kitchen update. 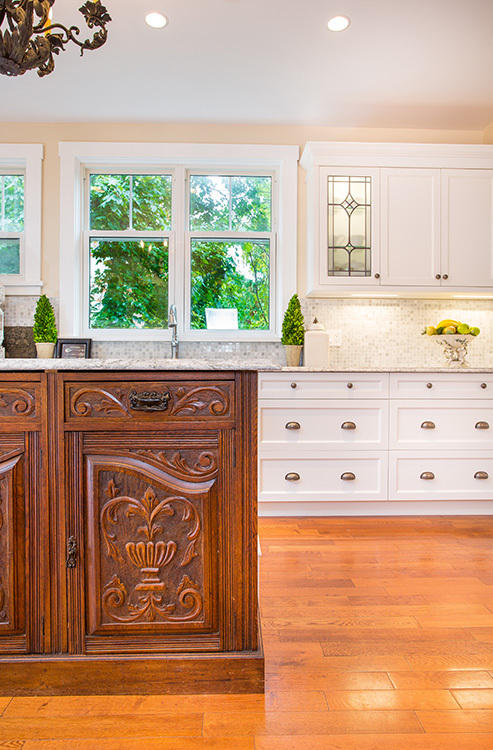 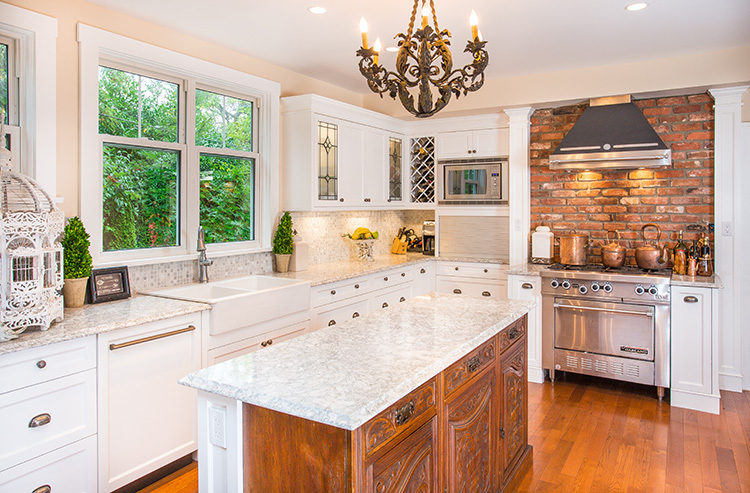 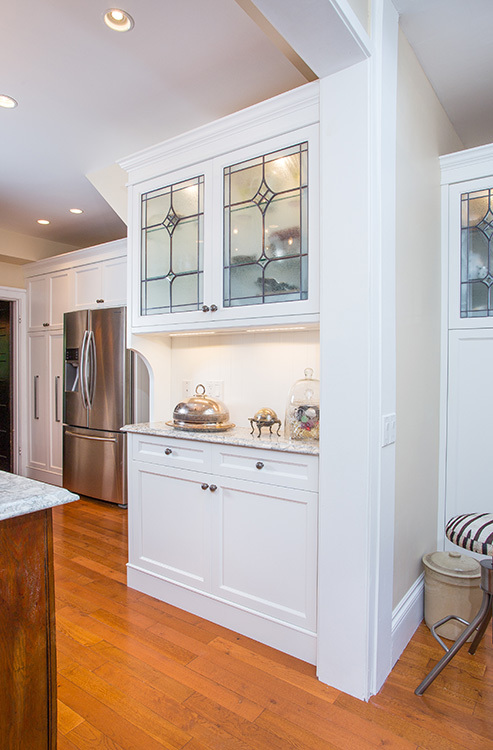 The key was the balance of new cabinetry construction while ensuring “Old World” charm. 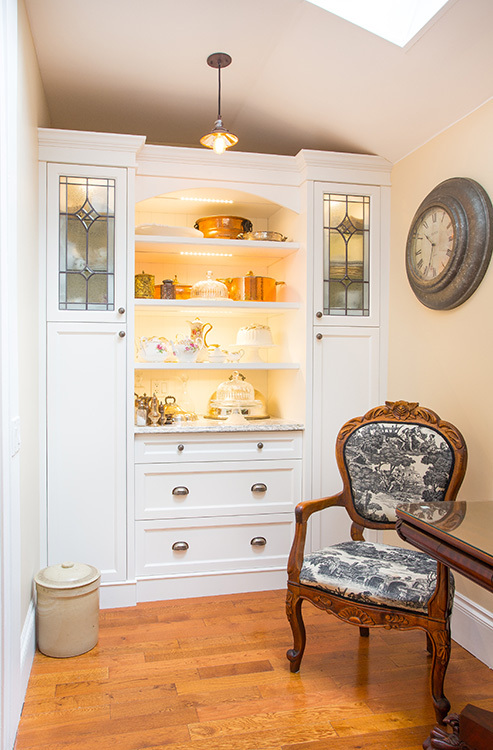 Unique feature of the room was the incorporation of an old furniture piece into the cabinetry of the island.